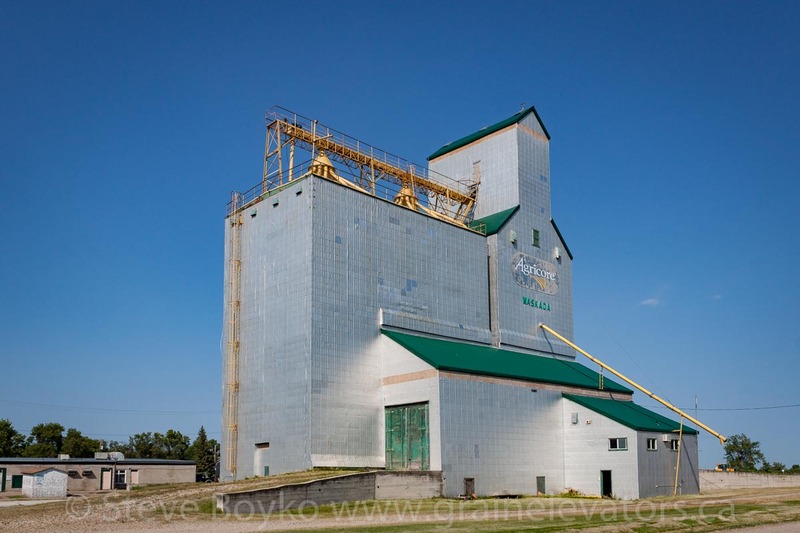 Waskada, MB grain elevator, Aug 2014. Contributed by Steve Boyko. 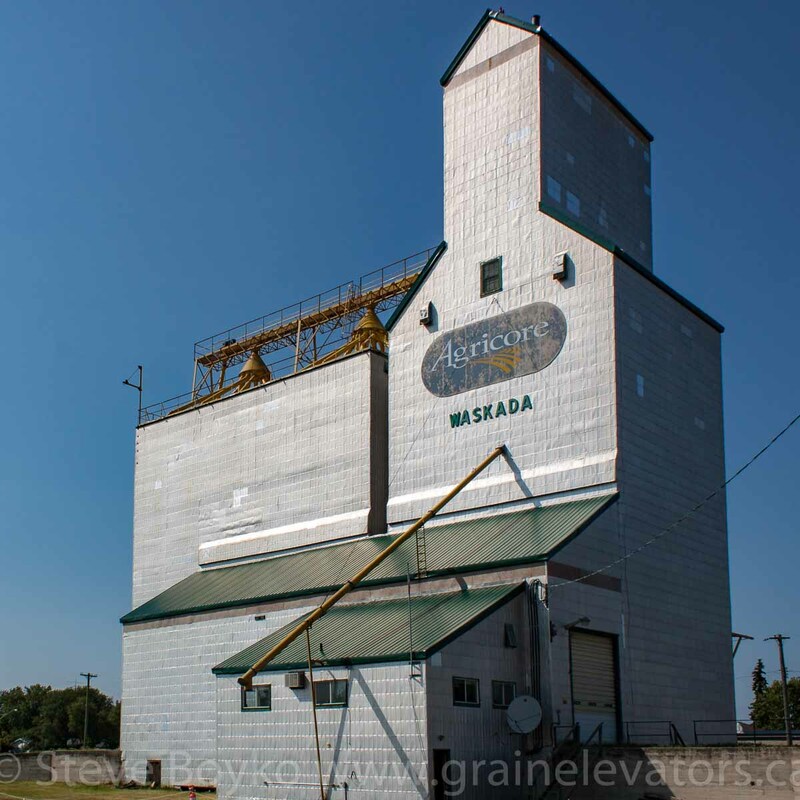 The town of Waskada, Manitoba has a single grain elevator. The Waskada grain elevator is a former Agricore structure. 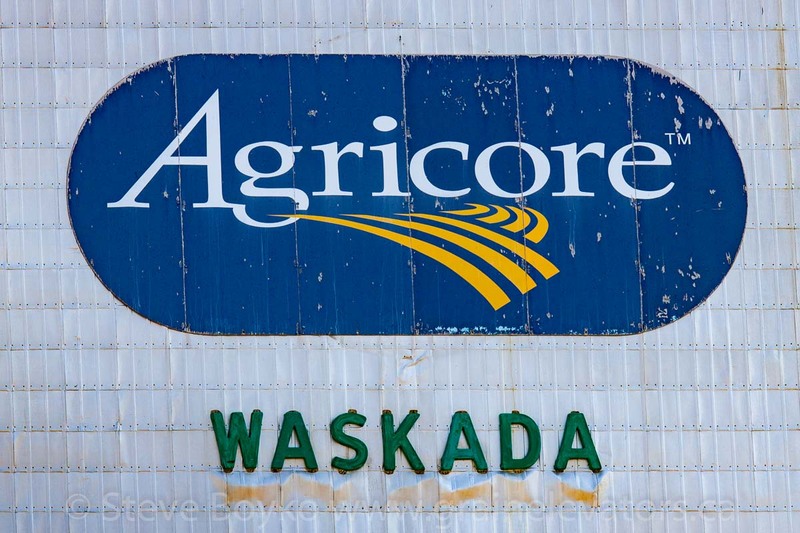 Agricore logo on grain elevator in Waskada, MB, Aug 2014. Contributed by Steve Boyko. Waskada used to be on the CP Lyleton subdivision. This was built by the Canadian Pacific Railway (CPR) at the turn of the 20th century and was completed in 1900 to Waskada with the first scheduled train arriving on New Year’s Day, 1900. It was extended to Lyleton by 1903. The rails were lifted by 1996. Waskada had three elevators until the late 1990s, as seen in this Bruce Selyem photo. It’s not clear if the Waskada grain elevator is still in use. Grain elevator in Waskada, MB, Aug 2014. Contributed by Steve Boyko. Waskada has seen major growth due to the development of the nearby Bakken shale oil fields. At one time it was the smallest incorporated village in Manitoba.